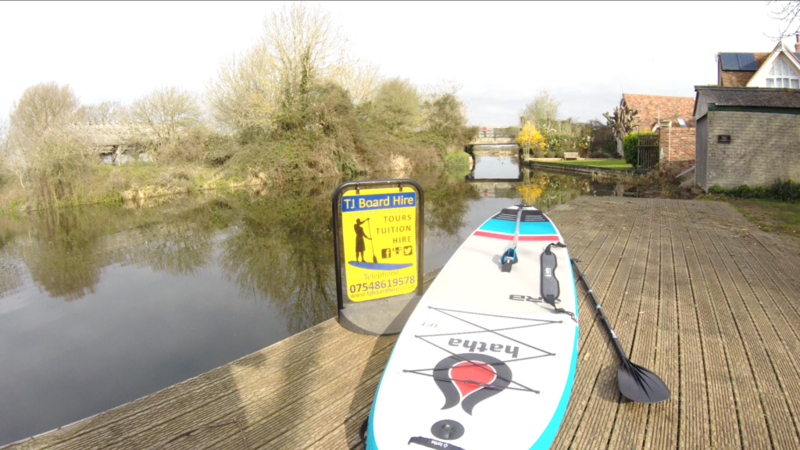 Spring has sprung at Tjboardhire and today saw the arrival of our new fleet of Hatha paddleboards at our SUP venue on the Chichester canal. 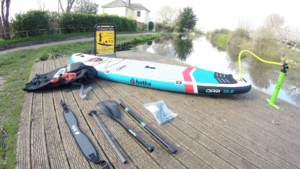 As well as our SUP school favourites the Pulse and the Oxygen, Hatha have added some new and exciting kit to their awesome range with the Orb paddle board. 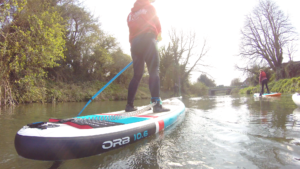 Today was the first opportunity that we have had to test out the new 2019 Orb paddle board, on one of our Chichester Sup Club social events. 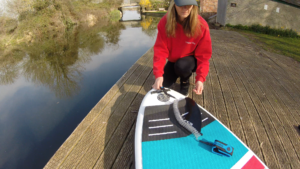 The Orb paddle board , whilst made from Hathas double skinned, military grade PVC, also consists of Thermo Fusion Construction which makes it super lightweight but without reducing strength.The package is priced at £650 and comes with a 3-piece fibre glass travel paddle, making it ideal for packing up and taking on your travels. Additionally, a coiled 10ft leash, repair kit, 8” Dolphin US box fin and Hatha’s new patented Cario shoulder strap, is included in the package. The robust rucksack style bag features the much-appreciated double wheeled system, making it ideal for travelling with everything packing down into a small suitcase sized package. 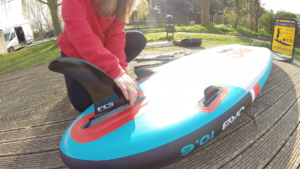 A welcome addition is the introduction of the Cario carry strap, making carrying your board so much easier. Inflation of the board is very easy. The twin action pump allows you to switch between double and single inflation and took around 7 minutes to inflate to around 16 Psi. The recommended Psi being between 15- 18. 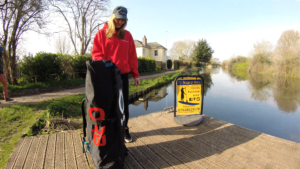 As any paddleboarder knows, inflatable kit is ideal for ease of storage and transporting, with the rucksack style bag with wheels providing the best of best worlds for transferring between venues. The sturdy rucksack has strong adjustable shoulder and waist straps, with Hathas curved design making it very easy to carry. The Orb weighs in at just 9.9kg, which is super light for such a robust piece of kit. 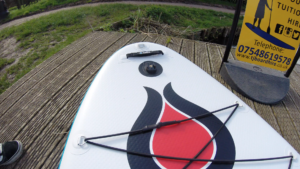 Hatha have added a neat touch with the addition of a go pro mount already mounted on the nose of the paddle board, important for capturing those awesome sup selfies and point of view photos. The package comes with a heavy duty 10ft coiled leash, the leash is top quality with a Velcro ankle cuff featuring Hathas logo. 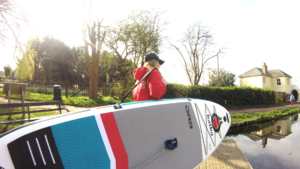 The Orb has bungee straps on the front of the board to store gear for those touring missions, plus multiple D rings ideal for towing or securing your board. 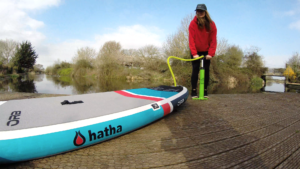 With grab handles front and rear, Hathas attention to detail and thought towards ease of use and versatility is clearly evident. 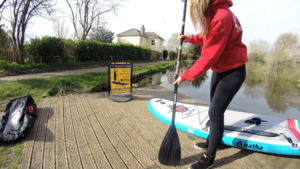 At 10’6” this board is a great all-rounder, easy to manoeuvre and at 32” wide and 6” deep it is super stable and ideal for beginners to learn and progress quickly, as well as intermediates looking to upgrade their current kit. 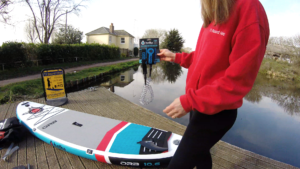 The Orb paddle board is a step up from the generic entry level packages, packed full of features and with upgraded components at an amazing price. 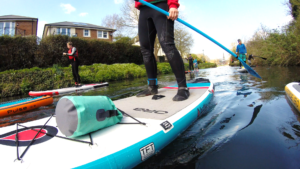 Overall the Orb gets a thumbs up from Tjboardhire and Chichester Sup Club members.